Attorneys for Richard M. Daley said a medical condition could affect the former mayor’s deposition in a federal lawsuit alleging torture under former Chicago Police Cmdr. Jon Burge. Daley’s condition, though undisclosed, is the subject of an “Attorneys’ Eyes Only” protective order that was granted by U.S. District Judge Amy St. Eve on Wednesday, the Chicago Sun-Times is reporting. Alonzo Smith filed the lawsuit against Daley and Burge in 2016, alleging that detectives working under Burge tortured him into confessing to murder in 1983. Smith spent 20 years in prison after he says detectives Peter Dignan and John Byrne beat and suffocated him with a plastic bag to force him to confess. Daley’s deposition was set for January, but last month, Daley’s attorney Terrrence Burns said, “There is an issue relative to [Daley’s] medical condition,” according to court records. Smith’s attorneys argued that making Daley’s medical records for “Attorneys’ Eyes Only” would prevent them from review by a health professional. A status hearing is scheduled for Monday in federal court. It is not the first time that Daley has been set to testify in one of the many civil rights cases rooted in allegations of torture by detectives under Burge’s command, though in previous cases the city has settled the lawsuits before Daley was questioned. Daley’s testimony in the latest case was set up by a ruling last year by St. Eve, stating that Smith’s lawyers should be allowed to probe how much Daley knew about the alleged torture that took place while he was mayor, though the ruling found that he couldn’t be held liable for misconduct in prosecutions that took place while he was Cook County state’s attorney. The former mayor’s health has prevented him from giving testimony in the past. 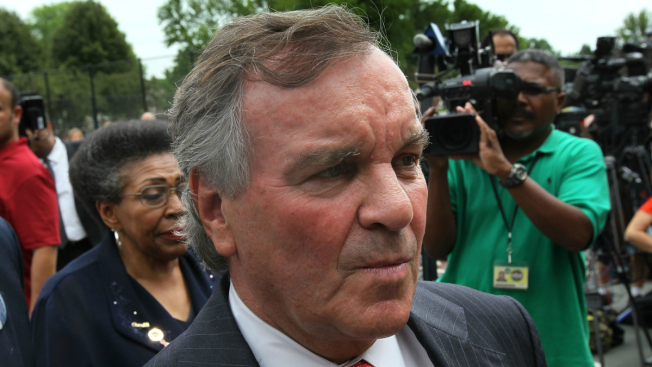 In 2014, Daley was subpoenaed to testify in the city’s lawsuit to break the sweetheart lease the Park Grill restaurant in Millennium Park was given while he was mayor. After reviewing affidavits on Daley’s medical condition behind closed doors, the Park Grill’s operators and lawyers agreed to withdraw their subpoena to put the former mayor on the witness stand, and the case was settled last year. Before that agreement, Daley’s lawyers argued his undisclosed medical condition would make it a hardship for him to take the witness stand. In January 2014, Sun-Times reported that Daley suffered a stroke when he was rushed to Northwestern Memorial Hospital the same day his nephew Richard J. “R.J.” Vanecko pleaded guilty to involuntary manslaughter in the death of David Koschman in 2004. Taylor has twice sought to put Daley under oath in Burge cases, only to have the city offer a multimillion-dollar settlement his clients could not refuse. Smith’s lawsuit alleges Daley was aware of abuse by Burge’s men as far back as the early 1980s, when Daley was state’s attorney and did nothing to stop the abuse after he became mayor in 1989. A representative for Daley could not be reached for comment.